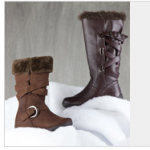 Winter Boots as low as $8.50 shipped! You are here: Home / online shopping / Winter Boots as low as $8.50 shipped! You’ve only got one more day left to shop this awesome sale on winter boots! Get Classic Winter boots for just $8.50 shipped! These are regularly $40! Here are some of the deals you can grab! You’ll find these under the “Winter boots under $10” tab. Make sure you check out the Toddler Footwear Blow-Out Sale. 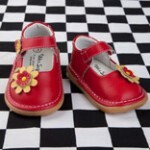 Prices on toddler shoes start at just $2.50! 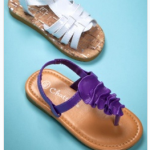 Prices in the Mom Sandal Shop start at just $2.25! Get FREE SHIPPING if you just registered with Totsy and make a purchase within 30 days. Shipping is also free when you spend $75 or more. Infant and Toddler Shoes Blow-Out sale: Prices start at $1.50! 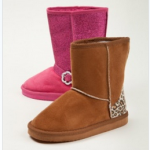 Girl and Toddler Boots as low as $10 shipped! Toddler Boots Sale: just $12 each shipped!